The deadline for the Conqueror Eczema Academy sign up has been extended until the 2nd of December. If you are interested in getting some group coaching support in your eczema healing journey then this program is for you! It’s packed with tons of info, videos etc to help you along your way. The group coaching sessions are great because they are done with eczema warriors all over the world, and we get to share our healing experience. Each participant gets to learn about our bodies in this process and lots of info to help you heal. If you are interested in joining us in this next round, make sure to sign up HERE! 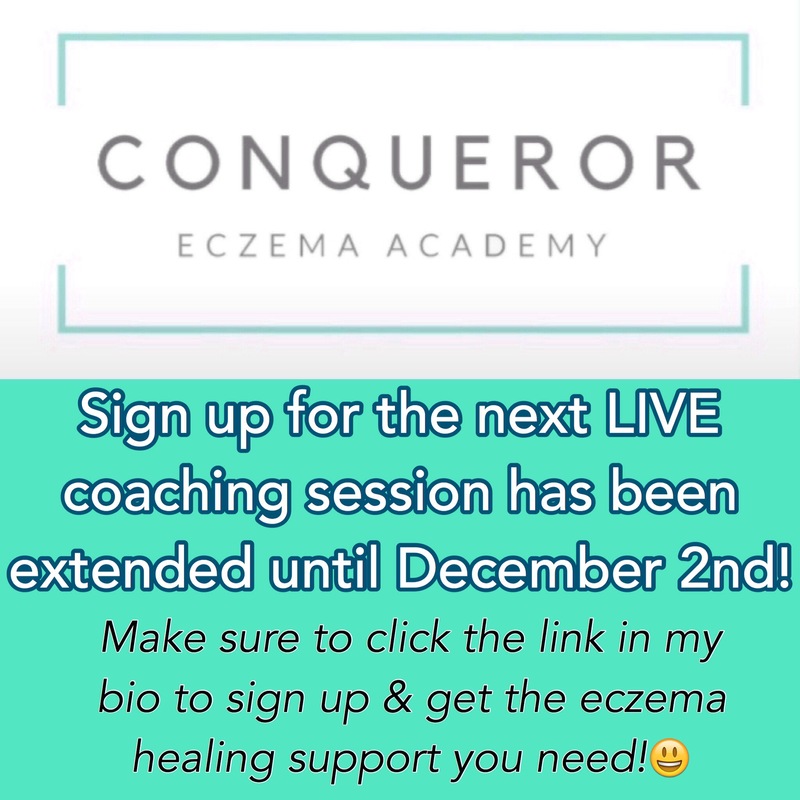 JOIN THE 2nd CONQUEROR ECZEMA ACADEMY COACHING SESSIONS! Extension for 2 More Days!